Let the timer remember to irrigate for you! Takes the hassle out of watering! 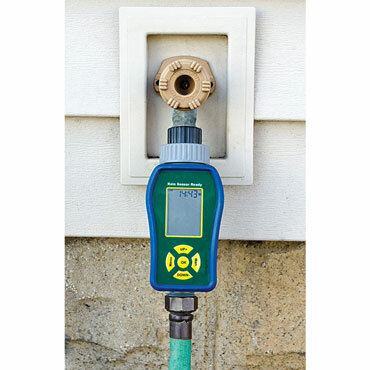 Take the clock work out of watering your garden with our Electronic Water Timer! With just the push of a button, start and stop watering at any time, any day, or every day! Simply choose the starting and ending run times, hit 'Enter,' and watering commenses until the selected end time. 16 start times. 2 AA batteries required, not included.